The Toyota Prius, yes I’ve said it.For good reason, it’s the singularly most popular Toyota on the streets of Berkeley and actually just about anywhere in the Bay Area.Toyota leads the industry in hybrid technology.Many other makes; Nissan, Honda, Kia, Hyundai have all raced to catch them, coming out with their hybrid versions years after the first generation Prius rolled out of the showroom. 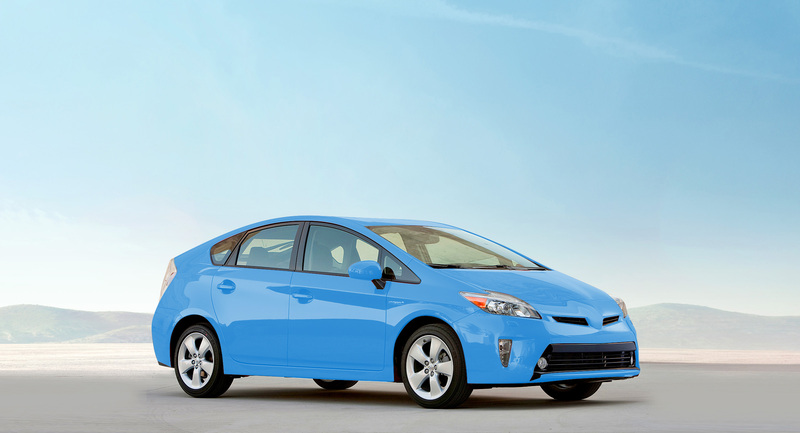 All of Berkeley Bob’s Prius service and repair technicians have specialized hybrid training. They have recently taken the advanced hybrid training courses and passed.Over the last five years our techs have been building their knowledge of hybrid technology by attending classes and seminars offered on the topic. This education affords us the ability to work on your hybrid safely and efficiently. Toyota says 95% of their Prius’ sold in the last 10 years are still on the road, amazing!Toyota is now producing their third generation hybrid drivetrain and their fourth is in the design phase.Prius’ are now available in several different body styles. Owning a Toyota Prius means you never have to take it for service.NOT!Hybrid engines use very thin oil which must stand up to high temperature engine friction.Over time this results in loss of engine oil.In some cases it could be more than a quart lost between the normal 5,000 mile oil change intervals. Another thing to watch is the tires.Toyota designed the braking system to recharge the engine battery while the brakes are in use.This design causes the tires to wear quicker than a standard gasoline engine vehicle. We advise all our Prius driving customers to have regular tire rotations to avoid premature wear. Due to the engine design and the regenerative braking system, regular servicing is a must on hybrid engines however not much else goes wrong. The Prius is the ultimate low maintenance vehicle. The biggest challenge you face when owning one is locating it in the supermarket parking lot amongst the other 30 parked there. Our goal at Berkeley Bob’s is to provide you with the best customer service and share our knowledge of your vehicle with you as we prepare an individualized service and repair schedule for your car. Our specialty Prius service and repair shoplook forward to having the opportunity to meet you and your Prius soon.